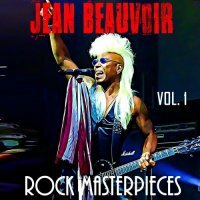 You have to admire Jean Beauvoir's energy. He's been kicking this can since 1980, first with the Plasmatics before going solo in 1986, making an album with Voodoo X and then regularly working in the Melodic Rock genre with the much-loved Crown Of Thorns. Therefore, it's about time for a retrospective and AOR Heaven aren't half doing that with two albums of his work, no less; one this year and one next. You know what to expect − generally it's all rather good Melodic Rock that is bouncy in aspect. We begin with 'Faith', which is simple and with the comfort of expectation, but he also takes a smooth groove and sells it, just like 'Crown Of Thorns' with its sterling melody. He can do pseudo-funky, as can be found in the 'Cobra' soundtrack offering 'Feel The Heat', and his own 'Dying For Love' is lovely and memorable Melodic Rock memories, while 'Lyin'' is low slung and lovely. If 'The Awakening' is an example of his work with Voodoo X, I may need to get the leg warmers out, so much does it chime in a typically eighties regulation way ... yes, they are indeed coming out! 'Voodoo Queen' has that big Hair Metal production and the twinkling synths nail it, but just listen to the piano and harmonising voices found on 'Standing On The Corner For Ya' – simplicity means so much. What a great collection this is, there really isn't a dud in the fourteen tracks that make up this compilation. 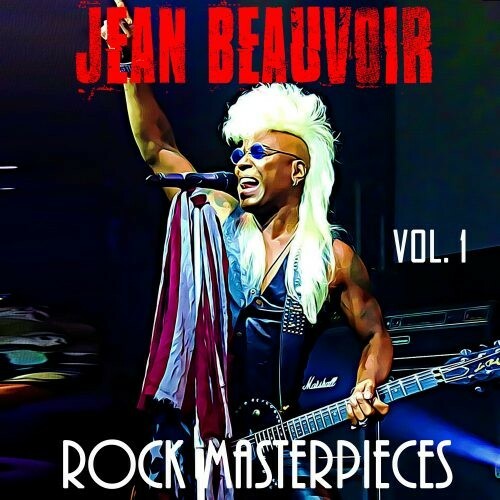 Jean Beauvoir is so switched on we sometimes forget his easy talent; he is more than just a blonde mohawk and this is quality music that shouldn't be missed. I hope this is not valedictory, we need his talent, energy and new music to delight us, but either way, at least there's 'Rock Masterpieces: Vol. 2' to look forward to.